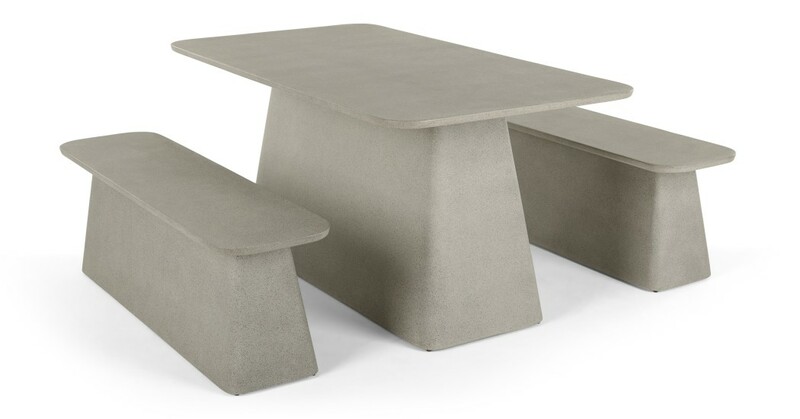 With its sleek silhouette, concrete construction and smooth finish, our Kalaw collection gives your great outdoors an industrial edge. Kalaw has an architectural appeal – it's a grand design, with rounded edges and a flared base. Because each piece – dining table and bench – is crafted as one solid block, it'll instantly become your garden's focal point. This outdoor collection was designed in-house by our MADE Studio – they've given it a masculine look without being overpowering. Accessorise with brighter pieces nearby to bring it up a notch.